Hanoi (VNA) - Deputy Prime Minister Vuong Dinh Hue has urged the science and technology sector to renovate and restructure to boost scientific and technological research to take advantage of the fourth industrial revolution or industry 4.0 and contribute to development. Restructuring should improve scientific and technological capacity and potential, he said at a working session with the Ministry of Science and Technology on the operations of public units. He asked the ministry to carefully study when downsizing its staff to avoid a shortage of skilled scientists. While reducing the number of people on the State payroll, the sector should also improve the capacity of remaining staff, he said. Restructuring in the public sector does not simply mean reducing the number of staff but arranging staff sensibly with the aim of improving efficiency, he said. Deputy Minister of Science and Technology Tran Van Tung admitted that the downsizing task faced difficult. Few public officials voluntarily resigned while workers in some newly-established agencies under the ministry are young and have professional skills, making it hard to sack them, he said. Regarding the ministry’s plan to shift basic research projects to universities while moving applied scientific research projects to establishment units, Hue suggested allowing the establishment of scientific and technological businesses at universities and research institutes to link research and practice. 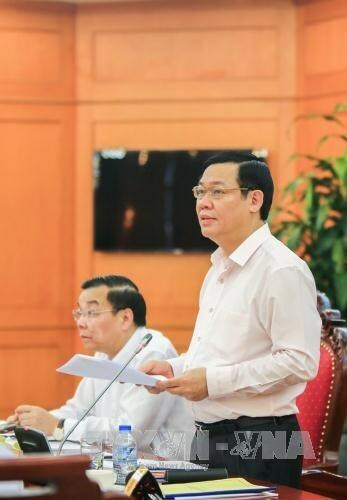 At the meeting, Head of the ministry’s Personnel Department Tran Dac Hieu said the distribution of scientific units was unreasonable as most of them were located in big cities like Hanoi and HCM City while other localities have few such units.